Nailed It! (2018) on Netflix Ireland. Check worldwide Netflix availability! If Nailed It! isn't available in your country, or you are visiting a country where it isn't, there is still a way to watch it! 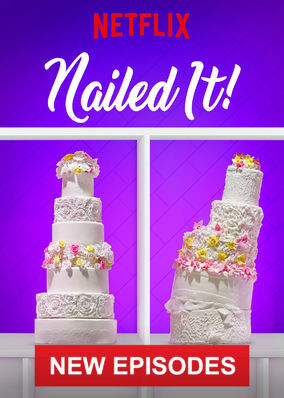 Home bakers with a terrible track record take a crack at re-creating edible masterpieces for a $10,000 prize. It's part reality contest, part hot mess. Crushed cupcakes. Deformed doughnuts. When it comes to high-stakes baking fails, nobody tops these amateur cooks.